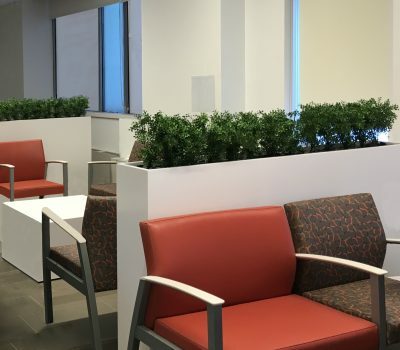 Solutions designed to elevate healthcare waiting rooms by creating greater privacy, relaxation and functionality. 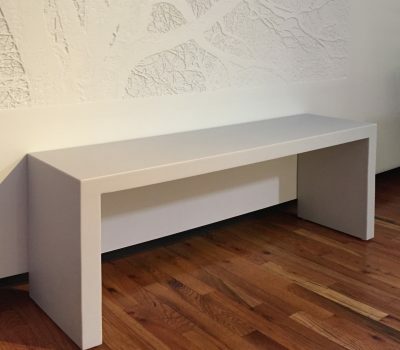 Bleach cleanable Corian® surfaces provide unrivaled durability and hygiene and can incorporate technology including wireless charging. 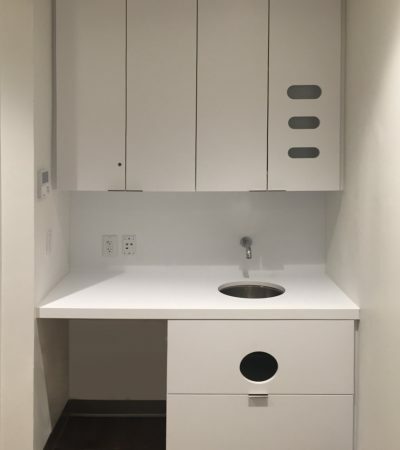 Solutions designed to create a more hygienic, efficient and durable exam room and enhance the interaction between patient and caregiver. Solutions that offer greater hygiene, impact resistance and design flexibility. 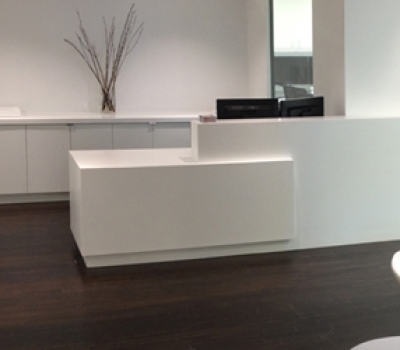 Corian® surfaces are certified with the highest “interior finishes” Class A fire rating. 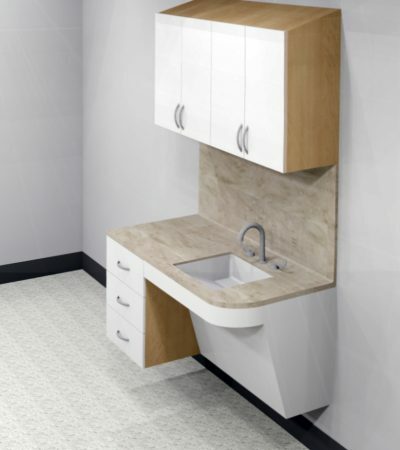 Modular nurses stations designed to provide a more hygienic, durable and design flexible solution compared with traditional nurse stations and suitable for patient rooms, hallways or centralized locations. 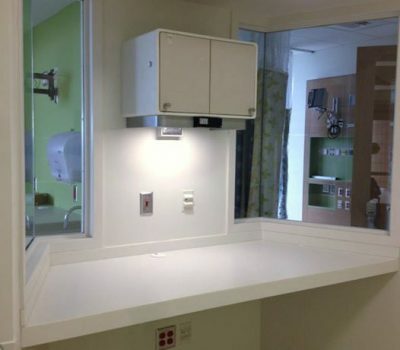 Our seamless modular casework systems are designed specifically to maximize infection control and provide ease of cleaning. All Futrus® casework solutions are customizable is size, configuration and color. 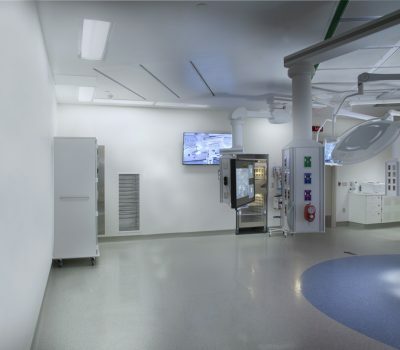 A complete range of patient room solutions made with Corian® and designed to provide unrivaled HAI protection, durability and long term value. Each solution is modular and fully adaptable to meet the needs of any space, caregiver or design requirement. Futrus® Modular Casework Systems provide the ideal solution for laboratory environments. 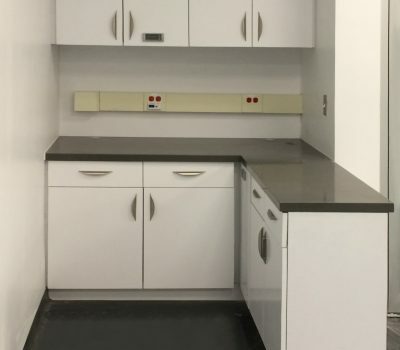 The seamless, nonporous, scrubbable and non-corrosive cabinets, work surfaces and sinks can be customized to suit into any size space or design scheme. 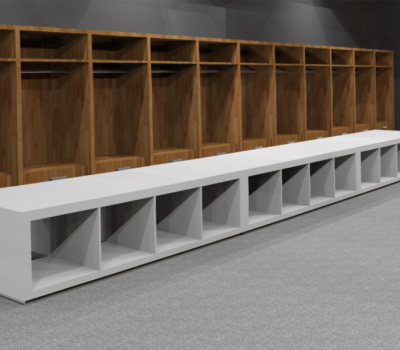 Our Modular Casework Systems are constructed using patented moisture resistant construction and exceed the requirements for decontamination areas. 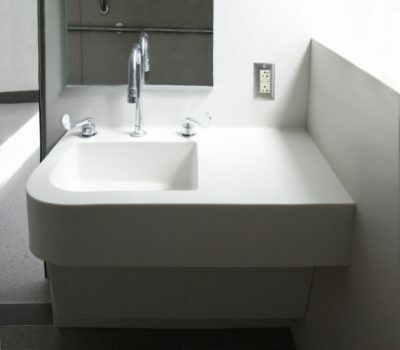 All Futrus® Casework surfaces and Sinks are bleach cleanable, scrubbable, non-porous and non-corosive. 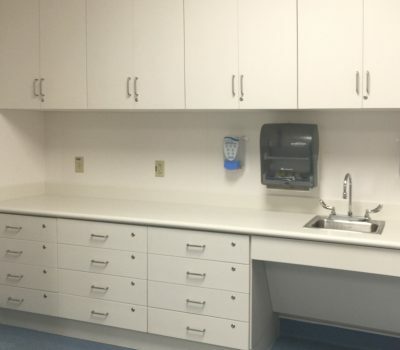 Durable, low maintenance and mold resistant restroom solutions that are ideal for all types of healthcare environment, including patient rooms. Available in standard or custom shapes and sizes and ADA compliant styles. Our range of café and dining solutions are highly durable, low maintenence and extremely cost competitive. Available in a range of standard and customizable sizes and with a wide range of base and integrated technology options. Choose from Corian®, Corian® Quartz or combinations of both. Modular solutions designed to create collaborative spaces, transaction counters or individual work spaces and all areas in between. Customizations available in configuration and colors to complement additional finishes. Customizable furniture solutions providing long-lasting durability and seamless surfaces for ease of cleaning and quicker turn-over. 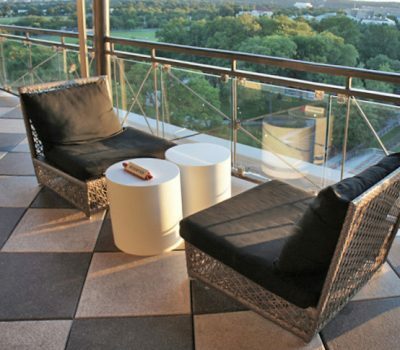 Customizing durable furniture solutions that carries the highest “interior finishes” Class A fire rating. Creating moisture resistant restroom solutions that will not stain, chip or delaminate. All solutions are seamless, not allowing the growth of mold, mildew or bacteria when cleaned properly. Surfaces can be bleach cleaned. Our offering are ideal for areas with high moisture levels and those exposed to water, such as pools, locker rooms, spas. 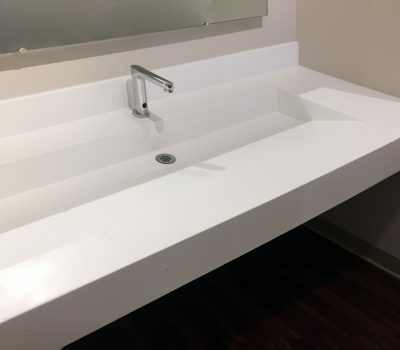 Our patented construction methods paired with Corian® solid surface creates seamless, moisture resistant solutions not allowing mold, mildew or bacteria to grow, and does not discolor with chlorine or bleach. 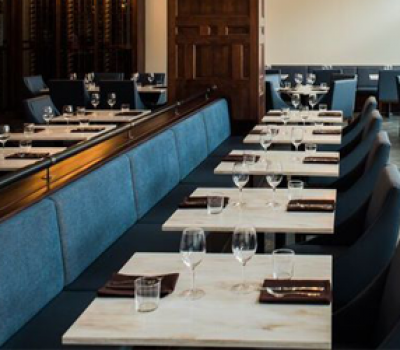 From dormitories, classrooms and dining halls, our customizable line of furnishings are a more durable, longer lasting solutions compared to traditional materials.